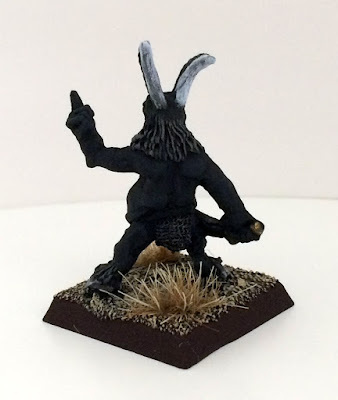 Hi, for today's post we go back to 'C' series Chaos Beastmen, luckily they vary so much you don't really get bored of them. 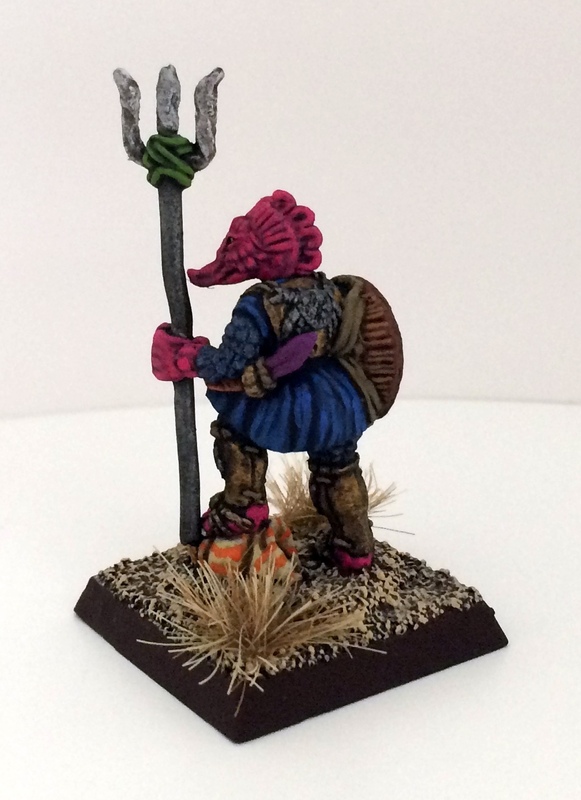 I have painted four new additions which all are being drafted into my Morcockian 'true' Beastman regiment. The first Beastman in this post is not actually a Beastman but a Devil from the much loved C18 Night Horror range, This miniature started life as a Runequest Broo (the original Chaos Beastmen, see Broo previous mention) and he can be seen here but at some time later must have had his arm re-sculpted with the bottle removed replacing it with him making a demonic sign before going into the C18 slottabase molds. His head was available separately too in the Runquest Broo range. 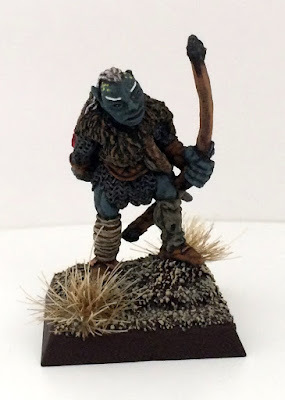 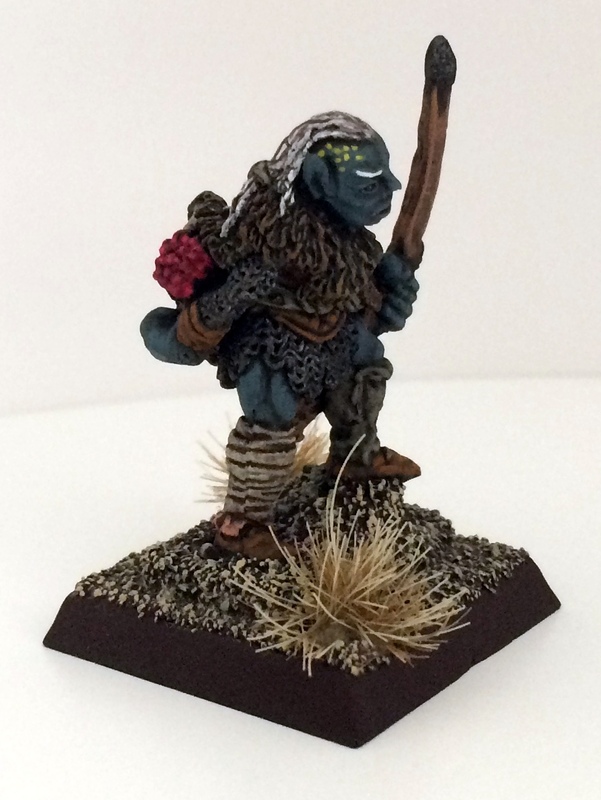 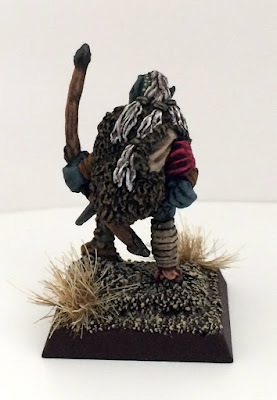 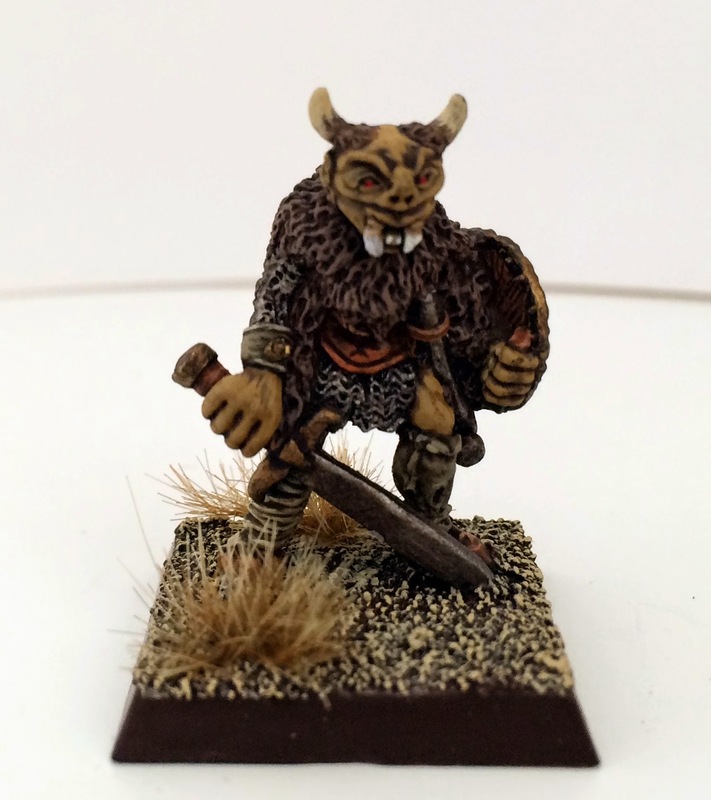 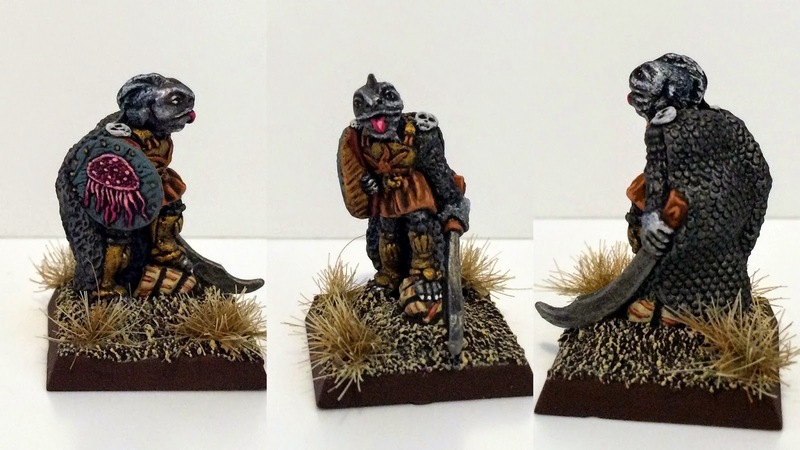 Last thing I would like to say about this miniature is that the original Runequest Broo swigging the bottle appears in the ranks of Byran Ansell's Chaos Beastman regiments here's a photo (thanks Steve), a great pedigree for this miniature indeed. 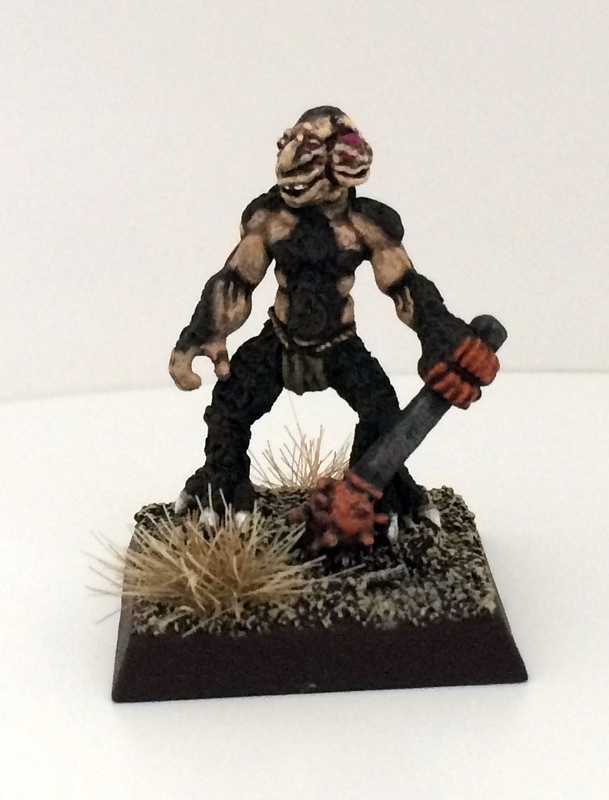 Next we have another C38 Chaos Beastman simply named again as Beastman who appears to be a variant of the C38 Eagleman, I was not overly keen on this miniature and only painted him for completeness, it's not a great sculpt, he appears to have a grotesque little head grafted onto the side of his head. And finally we have another C38 Chaos Beastman that you don't see around often again simply named Beast man, he was in a terrible condition with lots of brittle metal, the bow just fell off and needed gluing back on, oxidation needed brushing off with a hard brush but the nice thing about this one is that is he is armed with a bow a rare option for Beastmen, I did not really feel the Beastman vibe with this miniature as it looks more like a Half-Orc or Goblinoid, I wanted to give him an unusual skin colour as I did not want him to be mistaken as a goblinoid so I opted for Vallejo Pale Blue which worked well then I realised the finished miniature looked like a cross between Rogue Trooper and an Avatar Na'vi but I am happy with it and he fits in nicely with the others. 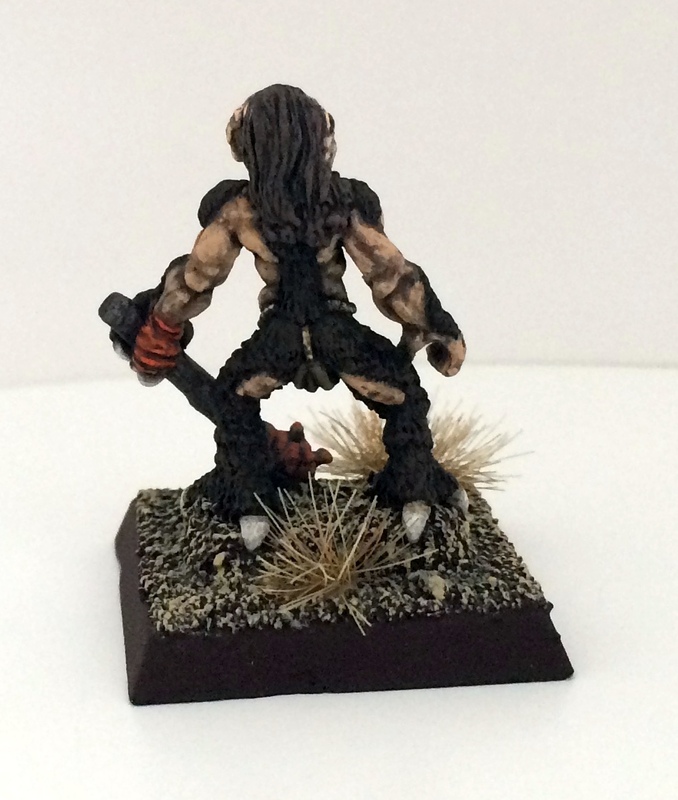 This Beastman is a variant of the Horned C38 Beastman (better picture to come) who also has variant not standing on a rock when it was later converted to a slotta base mould. Here is how my Beastman units are forming up on the Chaos shelf in my display case. 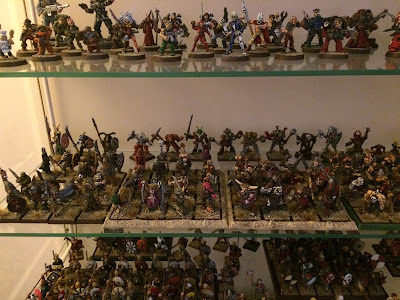 The chaos shelf in full. 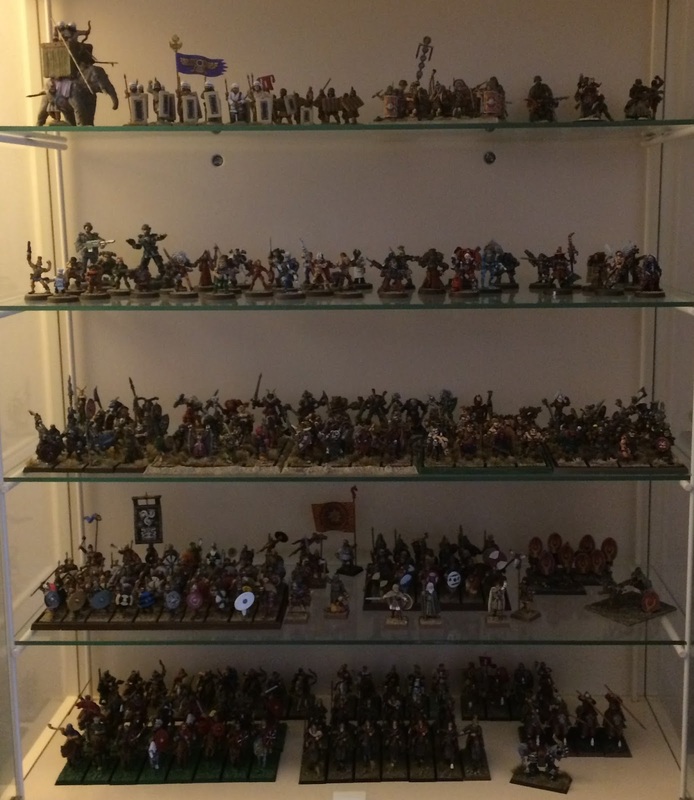 The display case in full, a recent present from the in-laws. Nice work there old chap. The display case seems to be filling up a bit . 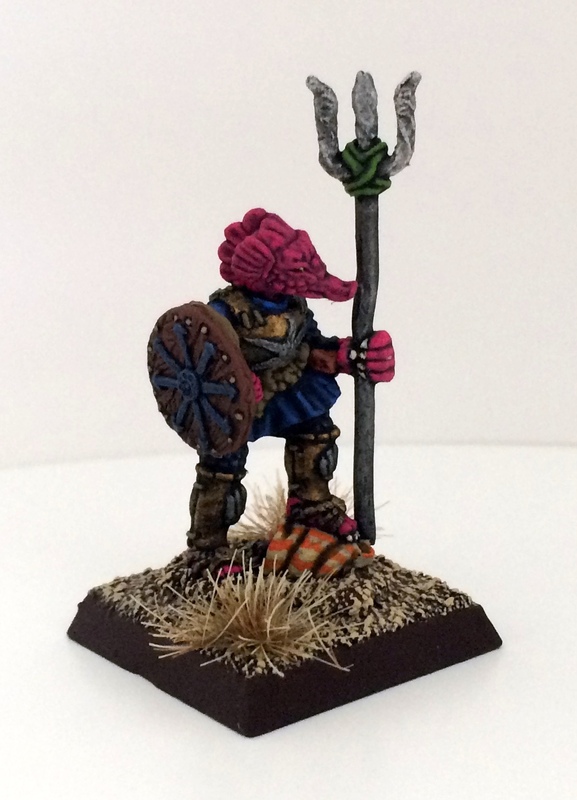 Lovely work - truly bizarre beastmen as they should be - especially Seahorseman! 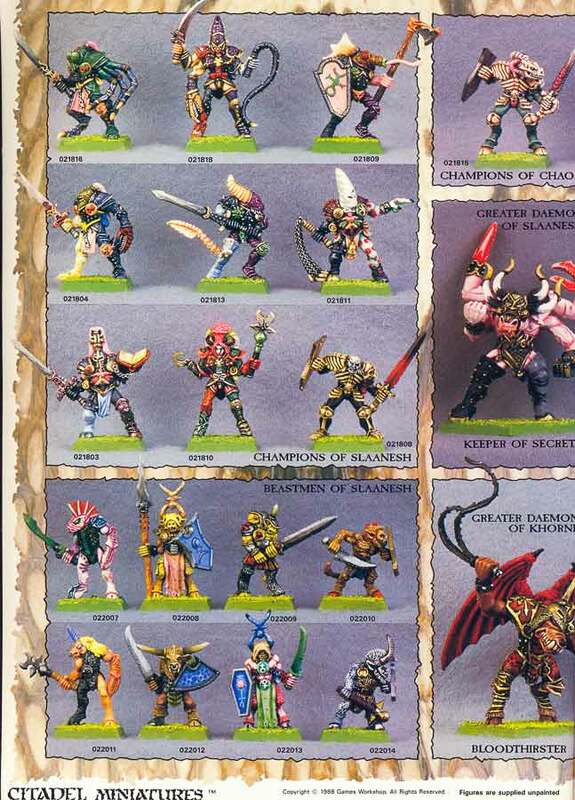 Woah! 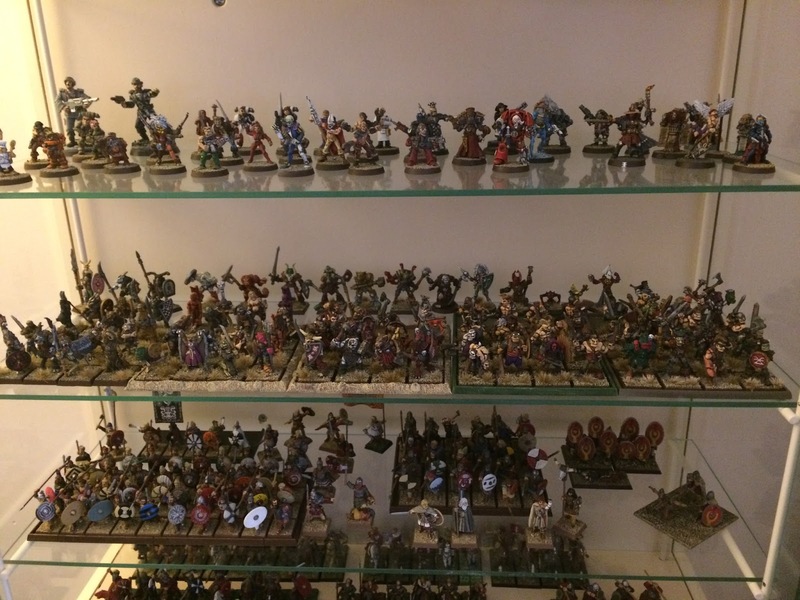 That's an impressive Chaos force mounting up there. 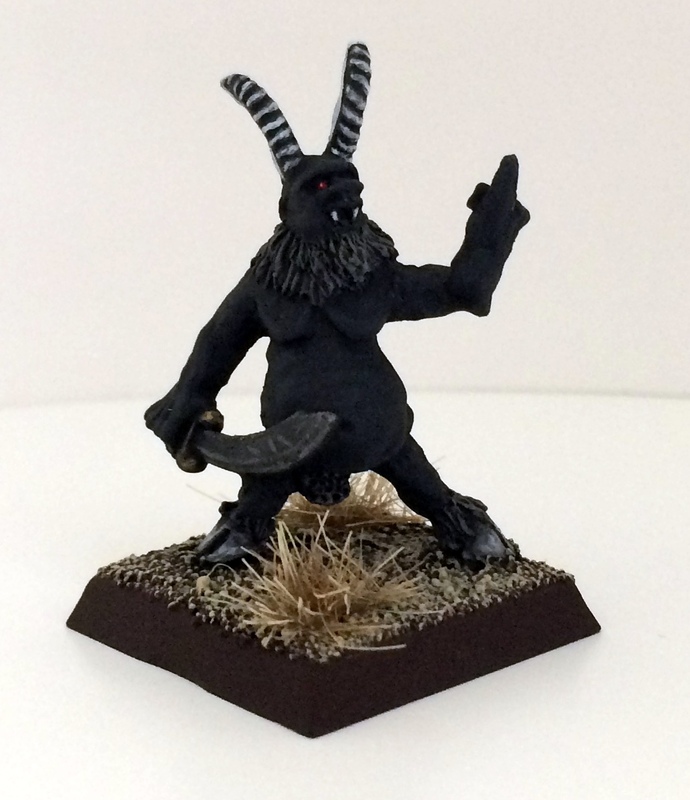 The new additions look very menacing in their dark colour scheme.